Get back to basics and rebuild your relationship with the Love & Connection Cards. 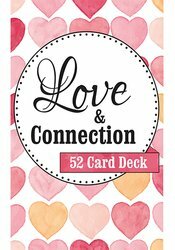 This fun card deck gives you instructions for 52 simple acts of love to refocus your relationship. You and your partner can take turns each week carrying out the instruction on each card, leaving you feel more connected and your love renewed.